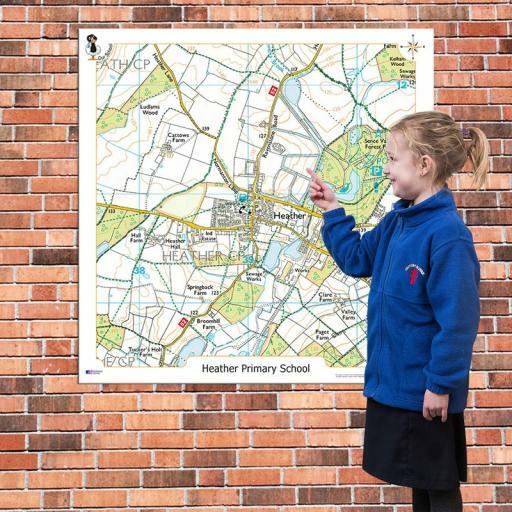 These fascinating playground displays will show a 3km² Ordnance Survey map, centred on your school or area of choice. 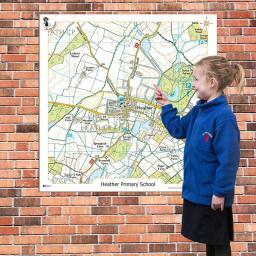 Children will be encouraged to become familiar with the area, and with the terminology used for map reading. Printed on weather-proof 3mm Foamex board, using fade-resistant ink, these playground signs are ready-drilled and are supplied with all fixtures and fittings.